Elliptical machines are one of the widely used fitness equipment for burning a significant amount of calories, mostly by the people who have lower body injuries/weakness. For the matter of fact, there are more than five various elliptical machines are being added on Amazon per month and many of them have rich and innovative features you’ve never seen before. But, if you choose any random elliptical machine, there are possibilities of serious injuries such as shortening of certain muscles, knee pain or foot numbness. That’s the reason why we’ve spent more than seven months in testing these various elliptical machines at our fitness lab and to be honest, most of them sucked. After the months of research, we have come up with these recommendations for the best elliptical machines which are the suitable for everyone. Best Elliptical Machines 2019 – The Winners! Here are our quick recommendations for the best elliptical for beginners and experts. These results are curated after various tests on these ellipticals by our experts and the results are determined by various factors such as price, computing features, performance. We have done an extensive research on 50+ elliptical machine models available in the market and here are our top recommended ellipticals for you. Keeping true to its price, Sole Fitness E95 Elliptical Machine, the costliest elliptical trainer is a beast when it comes to your cardio training. Let’s see how this elliptical trainer is worth everything you spend on it. Sole Fitness E95 Elliptical Machine is a bigger, more comfortable and sturdy machine weighing 215lbs with weight handling capacity of up to 400lbs. This top rated elliptical machine has a power incline technology giving you an inclination between 0 to 30 degrees which will help you target all lower body muscles. Talking about technology, it also has heart rate and pulse monitoring system so you don’t go foot over hills. Customization is what every trainer wants and this machines gives you just the flexibility you need. With 16-level resistance selection via control board, you can customize the workout programs using the 9” LCD Console. Sole Fitness E95 Elliptical Machine has a lot more features not limited to bottle holder, speakers, cooling fans, power adjustable strides, lifetime warranty and a lot more! Schwinn 430 Elliptical Machine is a standard cardio machine known for its value for money rear-drive elliptical training. With 70.1” x 28.2” x 63.2”, it is not as big as the earlier machine but may need a higher vertical space. The maximum length of stride is 20” and it feels quite comfortable after using it for 1 week. Weighing 168.7lbs, Schwinn 430 can hold up to 300lbs and resistance levels up to 20. The machine comes with a unique DualTrack 2 LCD displays making it easier to track multiple workout options. This elliptical machine has 22 preset programs so you can start working out from the moment you connect it. This machine is easy to operate and has features like USB port and advanced goal tracker to name a few. The worst thing about elliptical machines is the noise they generate and Schwinn 430 solves exactly the same. The machine is very quiet and you’ll not disturb your family if you’re working-out early in the morning. Adding the 10 year warranty, the Schwinn 430 machine can be bought with all the confidence for your cardio training needs. ProForm Hybrid Trainer, as the name suggests, is a multi-purpose and hybrid elliptical trainer which lets you train by both standing and sitting. Why do you need a sitting elliptical machine, you may ask? Performing a sitting elliptical training helps you give more focus on your legs rather than your whole body. This compact mid-range trainer has a 15” stride along with adjustable pedals for when you sit or stand depending on your workout module. This machine does not have any extravagant features but offers the flexibility of hybrid training with 16 resistance levels and preset workout modules. It weighs 116.84lbs and take up to 200lbs of your weight. The best thing about this elliptical trainer is it does not require wires to work apart from the LCD which can operate on batteries. Cut the cord! Not to forget, switching from foot rested bike mode to elliptical mode takes just 4 seconds so that you do not lose your track. If you cannot afford a super-premium elliptical trainer but also wouldn’t buy the cheaper ones, this semi-premium budget elliptical trainer is your best bet. When compared to other trainers, this has a compact design despite being sturdy and weighs 163lbs. It can handle a maximum of 250-275lbs. Horizon Fitness EX-57 Elliptical Trainer has an electronic resistance system with 8 levels to choose from. After using the non-backlit LCD display, it did not seem as bad as it sounds, just don’t use it under direct sunlight. The machine has 9 built-in preset workout programs to choose from. The machine has different modes like manual, reverse train, hills etc. to choose from. The maximum stride length is 18” and pedals are quite comfortable to go on for a few minutes without pain in foot. However, your knees may hurt if your height is above 6’3” as noted by some others. 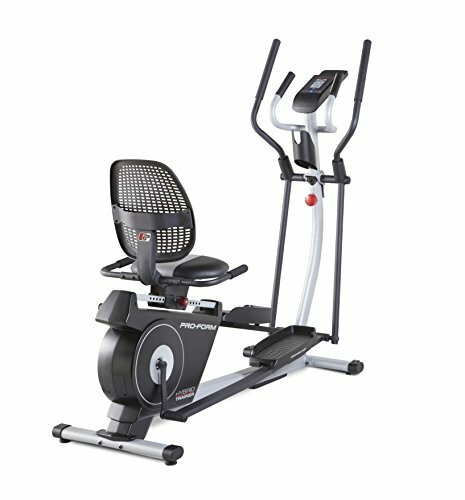 Horizon Fitness EX-57 is smooth, doesn’t make much noise, has a 20 year warranty on breaks and lifetime warranty on frame. This is the best machine with premium-quality built yet affordable. Despite being the most affordable and super-compact from the list, this machine does exactly what you want an elliptical machine to do to your body. Weighing a mere 51lbs, this light weight machine has 11 inches of stride helping you target specific muscle groups. Despite having no funky features, the machine has 8 levels of magnetic resistance knob which can be changed manually. The plastic body is quite tough and sturdy and can take up to 220lbs weight, which is not bad seeing how compact this elliptical trainer is. This no-nonsense elliptical trainer can help you engage your biceps, pecs, glutes, thighs and hamstring when having full motion workout. The trainer has a single display strip which shows you time, speed, distance covered (in miles) and calories. Best suited for females of the house! Body Rider BRD2000 Elliptical Trainer is another dual functionality machine which can be used as an exercise bike as well as an elliptical trainer. This budget friendly trainer has a high quality built and comfortable seat which gives you a premium feel. The seat height can be arranged as per your comfort and the machine can be installed in under 15 minutes. The machine has a unique and powerful small fan just in front to give you a smooth breeze while you workout. Being a budget elliptical trainer, the control panel shows your speed, distance, calories burnt and time tracking. This machine can carry a weight up to 250lbs which is ideal for most of you. The seat does not get in the way while you perform elliptical training, giving an edge to many other hybrid trainers. It can truly do the work of two machines in one. Moreover, you can easily adjust the tension knob to make the training level easy or difficult. Body Rider BRD2000 Elliptical Trainer has a warranty of 1 year for the frame and 3 months for other parts. Last but definitely not the least, this beast is well built machine in line with the premium models at just the half the cost of other premium elliptical trainers. The machine weights 80lbs and can carry a weight up to 270lbs. Exerpeutic 5000 Magnetic Elliptical Trainer has an 18 inch smooth stride giving you a full comfortable workout without any affect to your knees and ankles. This elliptical trainer has a double transmission system which works on increase gear ratio giving you a smoother striding motion at an increased momentum. 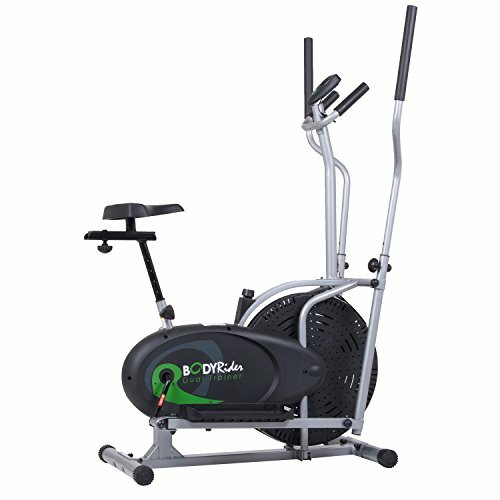 This slick and slim elliptical trainer has an option to adjust the tension and resistance right from the control panel which most of the budget machines do not have. The unique feature of this elliptical trainer is that it has a smartphone app from which you can track your performance using a Bluetooth enabled tracker. The smartphone can be connected to the machine to track real time information. Apart from bottle holder, hand-pulse sensors, large pedal strides, Exerpeutic 5000 Magnetic Elliptical Trainer is the perfect mid-budget, premium build quality training machine you should not miss out on. Elliptical bikes are one of the top choices for those who have lately recovered from a knee injury or suffer from chronic pain in the knee. Unlike the intense effect of running on a treadmill or doing pull ups, the effect of ellipticals on the trainer’s knee is a lot less and the movements also tend to happen pretty smoothly. More than endurance, working out on an elliptical provides the user physical therapy, especially for those who have knee pain. However, the duration and workout level should be done with the approval of the concerned doctor. If you are one of those who run frequently and want a workout machine that can provide you the same level of motion as running, then elliptical bike is for you. A lot of runners use elliptical for the purpose of cross training as it does not put too much pressure on the joints. It is a great option for doing a full body workout and you will get the same feel as running for an hour. If you own a gym, advanced-grade elliptical bikes should be a must in your list of gym equipments. Since they are also durable, a lot of gym goers also use them in their homes. However, home friendly elliptical bikes are slightly different from commercial ellipticals that are used in the gyms. And as a gym owner, you would definitely want to have those types of ellipticals that will be comfortable to use for the members in your gym. Hybrid elliptical bikes are a compound of being an elliptical trainer as well as a cardio machine. You can use it as an elliptical machine as well as provide for yourself certain types of cardio workouts such as stationary biking, recline stepping or simulated climbing. This can be quite budget friendly for you as you will be able to do many workouts with a single training machine, whether at the comfort of your home or gym. Cross trainer is great for those who want to work on their upper as well as lower body. The features are good for a full body workout session. These elliptical bikes also come with handlebars whose movements are in sync with the leg pedals. One great feature about magnetic resistance elliptical bikes is that you can digitally change the settings of the machine at your own convenience. And unlike the air resistance ones, they are not as noisy allowing you a quieter workout session. These elliptical bikes are mostly designed for commercial use which is why you will find them in all gyms. These elliptical bikes are operated by air. This means that the faster you will work out on it, the harder will its resistance level become. As mentioned above, they are noisier than magnetic resistance ellipticals as it is driven by air and the more is the air level that blows through the fan to move the machine, the higher will be the noise. Foldable: Foldable elliptical bikes are for those who want a proper sized elliptical but also want to save up space. These ellipticals also come with wheels and have the added comfort of easy storage and portability. Compact: These ellipticals are best for home use and they come with pedals and without handlebars. This makes them easy to store in a cabinet or under some furniture. They can save you a lot of space and are also budget friendly. Full-Size: If space is not a matter of concern for you, go for a full-size elliptical bike. They are great to be used at home, office as well as in a commercial space such as a gym or community center. Unlike all the above types, these ellipticals are pretty sturdy and heavy which means they can easily take in users of higher weight. Intense Workout: If you are looking for an intense workout session, you will look for an elliptical that can provide you with high level of resistance. In this context, the air resistance ellipticals work the best despite higher noise as they offer you with a challenging training session. Low Intensity Workout: If burning calories is your priority or you are the kind who workout for longer hours on a low intensity session, these ellipticals are ideal for you. They are compact in size as well which means you can easily store them wherever you want. The features will be almost same as that of a full size elliptical machine and you can use them throughout the day to burn calories. Recovery Workout: If you have lately been recovering from a surgery, injury or pain and want an elliptical that can have minimum impact then go for the ones which come with rehabilitation workout features. In this context, the magnetic resistance ellipticals are ideal and they will also provide you with a quieter workout session. Rear Drive: Most of the higher priced ellipticals that you can find mostly in commercial spaces are rear drive ellipticals. The drive system of these ellipticals are placed behind the user seat. The pedal movement of these ellipticals are pretty smooth that is as good as walking or running. Front Drive: The platforms of front drive ellipticals are the most stable you can find in the market. Most of the latest elliptical bikes you will see today are front drive ones as the stride length can be adjusted to your convenience with them. This helps you to adjust the motions of your upper and lower body when you are working out. A lot of people like to watch something or listen to music when they are working out, which is why entertainment options become an important feature. Most gyms provide elliptical bikes with the upgraded consoles in them, this is because trainers like to occupy themselves when they are working out. If price is a serious concern for you then you might want to skip this for the basic ones. Traditional Console: These are mostly the basic consoles that provides details on speed, calories, times, distance and inclination. Entertainment Console: If you want your console to give you a little more than just providing the vital details, then you might want to upgrade to an entertainment console, which comes with many interesting features such as access to the Internet and watching TV while you are working out. Tablet/ Book Holders: Both the above types of consoles have the option of providing book and tablet holders. It is also a budget friendly way of adding some kind of entertainment while working out without upgrading to an entertainment console. 16-18 inches: The ellipticals coming within this range are ideal for those whose height is 5’3’’ or less. Above 20 inches: If you are above 5” then you would want a lengthier stride that can also give you ample space to have a comfortable workout session. 26 inches: This stride length is for people above six foot and is a special kind of trainer. If you want to have a comfortable workout session with your elliptical bike, then adjustability feature is an important one. It is a rarity to find an elliptical bike which is non adjustable – these can lead to faster burnout and can make you bored also. Non-adjustable or static ellipticals are usually suited for those who workout rarely. Adjustable Resistance: As the term suggest, these ellipticals allow you to push yourself considerably when you are working out. Most of the ellipticals are magnetic resistance making it easier and convenient for you to change the levels of resistance when you use them. Adjustable Pedals: With adjustable pedals, you can add more than one workout and can be used by trainers of different heights. Adjustable pedals help you have a comfortable time pushing the pedals while training. Adjustable Incline: With adjustable incline, you can change your workout depending on which muscles you want to focus on. Some of these ellipticals also come with adjustable decline which will give you the same feel when you run downhill. People are still a bit confused when they want to choose between Elliptical Machines and Treadmills. Let’s have a briefer comparison here. As we said earlier, elliptical machines have a bunch of benefits to offer. First of all, there is the lower impact on the body. You won’t have any joint-based issues, even after the continuous use of elliptical trainers. Also, you can distribute the impact of exercise into upper and lower parts of your body — thanks to the movable handles. At the same time, Reverse Stride is an awesome feature we find in most of the premium elliptical trainers. In short, an elliptical can be used as a versatile and effective method for proven-result exercises. The only disadvantage of using an elliptical is that you may lose the dynamic element while working out. This should not be a big thing for most, though. Coming to the case of treadmills, the positive impacts are lesser than the negative ones. It’s a matter of fact that treadmill can simulate natural movements in the long run. You also get the benefits of versatility and better tracking of fitness data. However, coming to the case of disadvantages, Treadmills are really harmful. Continuous usage of treadmill equipment will cause you issue like joint stress. Also, when compared to elliptical machines, treadmills are less secure. In short, you should be an expert to get the best from a treadmill. And, we know this isn’t the case for newbies. So, in the Elliptical Trainers Vs Treadmills comparison, you have more reasons to go with elliptical machines. By spending a lot less than treadmills, you can have better performance and exercises — right from your home. What’s your choice, by the way? SOLE is a renowned brand name in the commercial fitness industry. They manufacture from the range of elliptical hybrid to high end ellipticals both for intensive training as well as for low intensity training. Two of the most popular ellipticals in the market today are Sole SC200 Stepper and Sole E98 Elliptical. While the former is a hybrid model that is great for lower body workout as it allows for less impact on the joints and hips – further coming with 20 resistance levels, the latter is a front drive elliptical that provides you with smoother ride and also comes with bluetooth connectivity. All fitness equipments from SOLE come with a 30 days money return guarantee. If you do not like it, you will get full refund after 30 days. 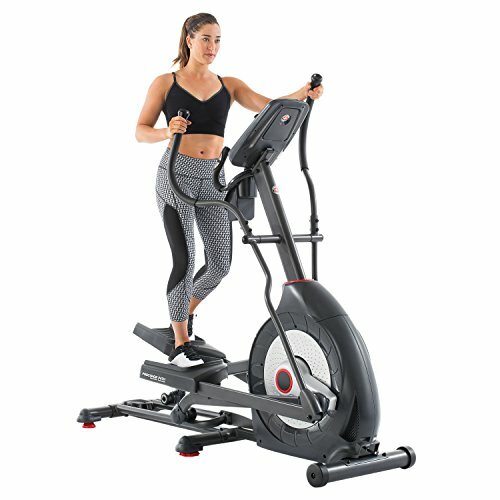 Most of the SOLE ellipticals of the latest models, come with Bluetooth capacity so you can easily connect it to your smartphone and listen to music or even attend calls. SOLE ellipticals are ideal for trainers who prefer intensive workout. When Schwinn was founded, they were mostly manufacturing outdoor biking. It was only around 1960s that they started lining up treadmills and elliptical bikes. Almost all the ellipticals from Schwinn are effectively priced below 1000$. Three of its best selling models are Schwinn 520, 430 and 470, of which the Schwinn 470 is the most popular one. The body of most Schwinn ellipticals are usually heavy and sturdy. Most of the standard models come with a stride length of 20 inches which is the basic length for all home friendly ellipticals. However, the Schwinn 520 comes with a stride length of 14 inches. All the Schwinn ellipticals come with resistance range that can be digitally controlled. Most of the standing ellipticals from Schwinn come with a maximum of 10 percent inclines which makes it comfortable for you to workout. The other two important features in Schwinn ellipticals are more than 20 workout programs that includes both manual as well as customised programs, and the provision to create more than one profile which makes it convenient for you to save your customised workout programs. Lastly, these elliptical machines come with wheels which makes it easy for you to transport it from one space to another. To start with, any elliptical you buy in 2019 will feature tablet holders and iPod-compatible sound system. If you go for the higher end models, they feature touch screen and Android web browsers. There are four major series in Proform Ellipticals: Endurance series, Pro series, CSE series, Hybrid series. 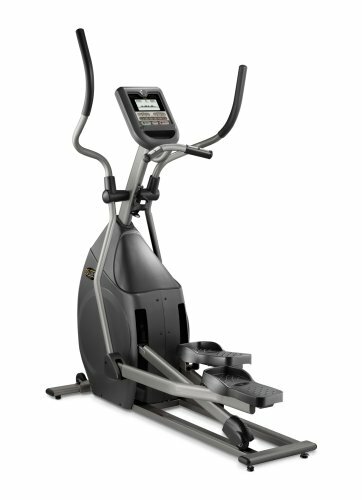 The best part about Proform ellipticals is that they come with lifetime warranties. Endurance series have a resistance system on the backside of the machine but that does not mean the equipment would compromise on the space and stride length. The Pro series come with a flywheel of range between 28-32 pounds and are lighter in weight in comparison to endurance series. The CSE series are mostly rear drive ellipticals and are not heavy in weight. The Hybrid series is comparatively low priced and are ideal for low-intensity workout sessions. Sunny Health and Fitness ellipticals are mostly meant for home use. They have been a popular brand for more than a decade now. If you are looking for serious and intense workout session then these ellipticals are not meant for you. But if you are looking for a solid elliptical for low-impact workout from the comfort of your home, then go ahead with the Sunny ellipticals. Some of these ellipticals such as the SF-E902 Sunny Air Walk Trainer is priced as low as 100$ without compromising on the quality of the product. You cannot consider the Sunny ellipticals as the best known brand in fitness machines for commercial spaces such as the gym but they function decently and is sure to provide you with a comfortable workout session. They are solid in design, budget friendly and so far have been well received by customers. Exerpeutic ellipticals are a great option for those looking for entry level of ellipticals. They are sturdy in design and provide you with great features for full body workout from the comfort of your home. You can choose from a variety of programs to focus on which muscles you want to target upon. As it uses magnetic resistance, it provides you with a quiet training session for as many hours as you want. Most of the Exerpeutic ellipticals come with easy-to-read LCD display that provides users with all the vital information ranging from time, calories burnt, distance, speed. You won’t find too many fancy features in it but it suffices for those looking for standard elliptical bikes for low impact workout, toning up and weight loss sessions. It is also priced cost effectively with a minimum stride length of 18 inches. The Exerpeutic 1000XL Heavy Duty Elliptical is one of its most popular elliptical machine with minimum impact level on your joints, ankles and knees. Choosing the right elliptical machine could be confusing task if you are buying elliptical machine for the first time. We have reviewed 152+ models of various elliptical machines and rated all of them based upon various factors such as price, build quality, resistance level and of course warranty. Use these unbiased reviewed of the best elliptical machines and choose the one which suits your requirements and budget. Previous ArticleCan I Use Genetic Information to Improve My Training and Nutrition Plan?Next Article5 Best Leg Press Machines 2019 – Do NOT Buy Before Reading This! How to get an incredible workout on an elliptical machine? Most people tend to think that an elliptical machine is boring and efficient. They assume this because they have not known how to work with this device. There are amazing workouts that can be done with this machine that is guaranteed to give you an adrenaline rush. It is not boring as they say. With the right mode of attack, you will be able to work out and make the most of each stride. It all depends on you and the effort you put into the workout. Ensure that you have a plan before you start. Set a goal that is achievable and works towards it. Avoid slouching once you start and for an effective exercise use the handles. The handles allow you to work on the whole body. Push and pull levers actively but ensure that you maintain an upright posture. Your shoulders should be pulled back and your abs engaged. This will guarantee you a full body workout. What you need to know before purchasing the machine ? The elliptical machine is popular in the gym because of the low impact cardio which, seeks to protect joints. It is recommended for people to do extensive research before buying one. Browse and look out for the best deals to save some dollars. Buying an elliptical trainer to use at home can be confusing at times. Different deals range from $250 to $5000 depending on the amount you plan to use. Your budget will determine what you get, but you have to read through different reviews., The reviews will award various products, and you will get to know which one is best and which one is fit for your budget. There also coupons that give you a discount when your purchase the machine. Is buying a cheaper model worth the risk? As we all know money is everything when it comes to making purchases. Gone are the days when we actually did barter trade. But when it comes to buying an elliptical trainer you should not risk it. You might find a cheaper model that works just perfectly but there is a catch. They cheaper model will not last for long. Cheap is expensive. They might save you money now but they will cost you a fortune in the future. Spend money on quality. Purchase a model that is of high-quality one that will last for a while. You will actually be amazed by the service that you will get. What Features should I look out for in an elliptical machine? There are different attributes to each model but there are key pointers that are in every model. These key pointers are essential because they enhance your workout sessions. As a consumer, you should know what to look for when sampling these trainers. Below is a list of solid features that are vital. Stride length which should be about 21 so as not to be short for the average person. Smoothness in motion. The pedals should be moving smoothly to ease your workout session. Elliptical trainers should offer warm-ups and cool-down periods for safe workouts. The handrails need to be present to provide balance. A heart rate monitor is essential. It will help you to know how hard you are working and if your heart can take it to prevent heart diseases. It will monitor your heartbeat and check whether it is beating right. A warranty which will allow you to return when the machine breaks down or when there is a fault somewhere that needs servicing. Check the mode of delivery if you are ordering online. Keep an eye on the amount you will be charged to prevent going over budget. The store should also provide you with a person who will assemble the machine and ensure that it is up and running. Also, check whether there you can customize your own exercises. Customizing your exercises will help you create pre-set programs that will fit your needs. What are the benefits of using an elliptical machine? It provides you with the right kind of exercises with little impact on the joints. The handles also encourage you to work out the upper body and provide a full body workout. It increases muscle activation which is necessary for fat loss. There are so many fitness and health benefits that arise as a result of using this machine. It increases muscle strength and improves the mobility of joints. The design of the machine improves posture and makes you flexible. The body fat level also drops significantly, and there is a notable improvement in cardiovascular fitness. The pedals assist in reducing the loss of minerals in the bones that bear weight. Working out with this machine will help you to achieve your weight loss goals. How will I know which machine is right for me? You might need to list down certain things such as: height, weight and fitness level. After noting down these things use them to select the machine that fits. Elliptical machines come in different sizes and models which are designed for people all over the globe. Check the specifications of an elliptical trainer before purchase. The specifications will guide you in making a valid decision. Tall people have their own specifications and settings that ensure an effective workout. They have long legs and big feet and that is why you should analyze things such as: stride length and the peddle size. Find the right elliptical machine for a healthy and energizing workout session. 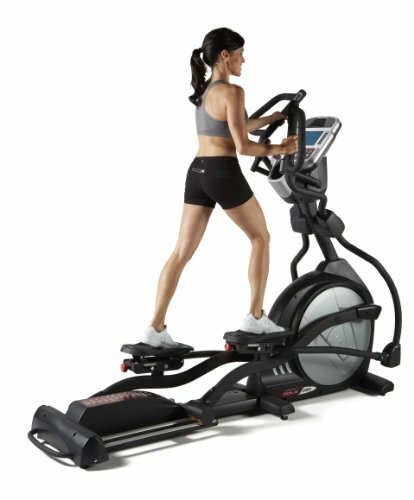 What space do I need to set up an elliptical machine in my home? This machine is designed to be used at home and at the gym. Ensure that the room to be used in the assembling process is spacious. The room should fit the dimensions of the device in question. Space should be big enough for breathing so as to avoid suffocation. How do I maintain an elliptical trainer? It is important to it check regularly and ensure that the screws and bolts are secure. As you clean the machine read through and understand your model to avoid tampering with something that is crucial. Cleaning the machine will prevent build up and will maintain the smoothness in movement. In a week, how many times can I use it? You can use it at least five times a week if you are on an intensive training system. It is important to note that it will wear out quickly if it is used frequently. It is up to you to plan your schedule. 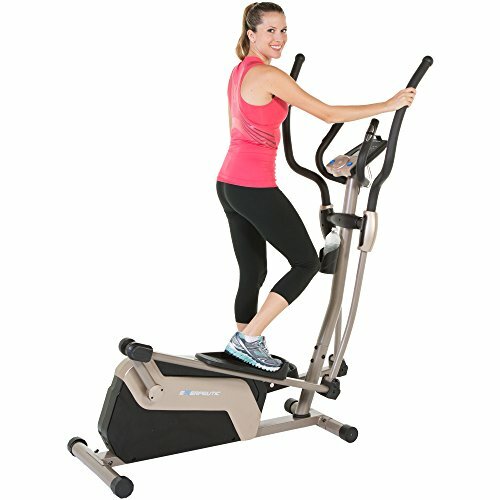 What is unique about an elliptical trainer? It is a hybrid of the treadmill; and the Stairmaster. You can use it to work out your lower and upper body. It is engaging and can serve low intensity and high intensity exercise. The other surprising fact in how you can reverse the stride. The stride creates emphasis on your glutes and the hamstrings. Changing your stride gives you an overall body workout.